The standard in sun protection, Ombrelle SPF 30 filters 96.7% of UVB rays while providing an equivalent protection against UVA rays. 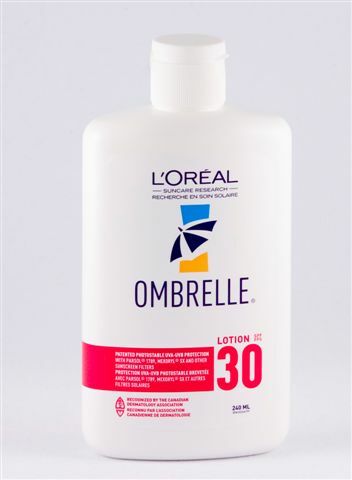 Ombrelle Lotion SPF 30 is a broad spectrum moisturizing sunscreen that provides photostable protection throughout the UVA/UVB range, as well as 30 times your natural protection against UVB rays. Ombrelle is water-resistant, PABA, colorant and fragrance free to minimize the risks of skin irritation and won't block pores.